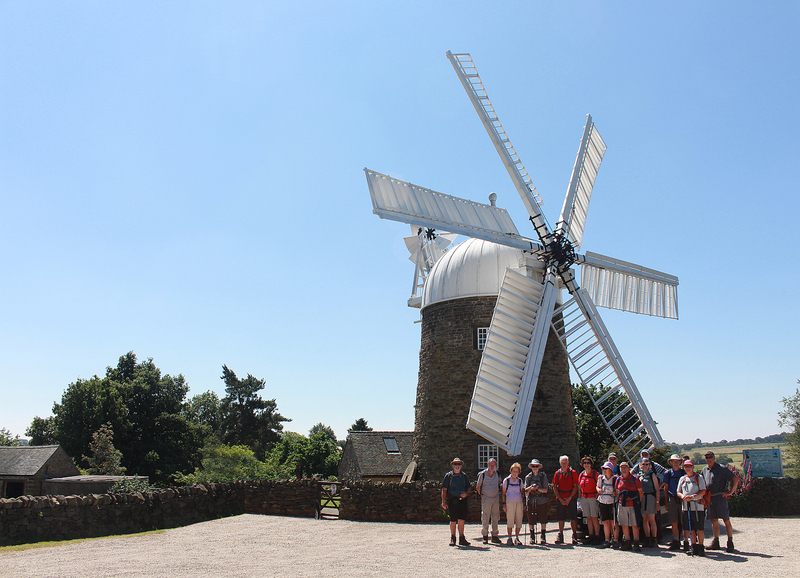 A rare gorgeous week for weather saw 17 set off from Crich market place on a 10 mile circular, via the Heage Windmill, Cromford Canal, and Whatstandwell. 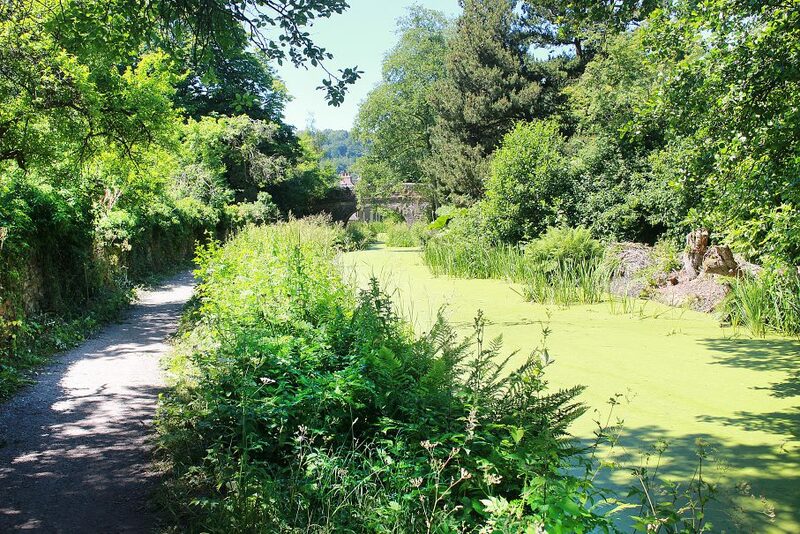 The final path between Whatstandwell and Crich is stunning, but the steps are fairly demanding at the end of a hot day. A Beeley circular, led by Terry and Eileen. Originally planned for March, it hit on much warmer weather today. A mixed band of seven walkers arrived at 9:30 at Baslow’s Robin Hood to start this very strenuous walk. A beautiful summer’s morning and off we went through deep bracken, shoulder high in places (well over five feet), up to Baslow Edge and on to Bee Wood and Froggatt. 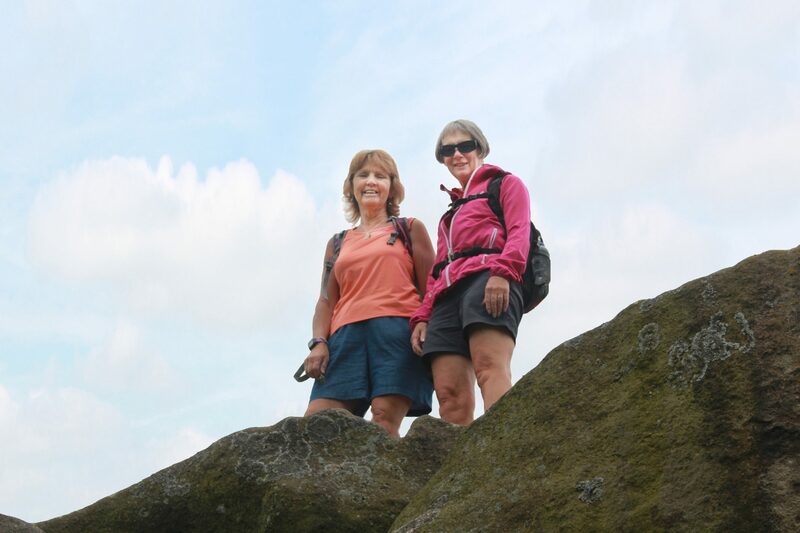 A steep climb then to Froggatt Edge and on to Tumbling Hill for a quick drink. Continuing to Millstone Edge via Bolehill Quarries, we circumnavigated Higger Tor and reached the Burbage Rocks for lunch. Passing speedily through Longshaw, it was on to White Edge and the Hurkling Stone – and then Gardom’s Edge and the Three Men before a return to the Robin Hood. 19.5 miles completed in seven and a half hours. A fair old pace, excellent company, and great views. There were five of us who arrived in Eckington (three by bus, two by car) for a four mile walk which took us over a golf course, the river Rother, a railway line and across the Trans Pennine Trail – from where we walked the overgrown towpath – the Cuckoo Way – of the now disused section of the Chesterfield canal. Continuing on the Trail we made our way back to Eckington, turning off onto a footpath skirting Boiley Farm. Storm Hector had chosen to operate in Scotland rather than the environs of Eckington – so our walk took place in warm sunshine and a mild breeze. 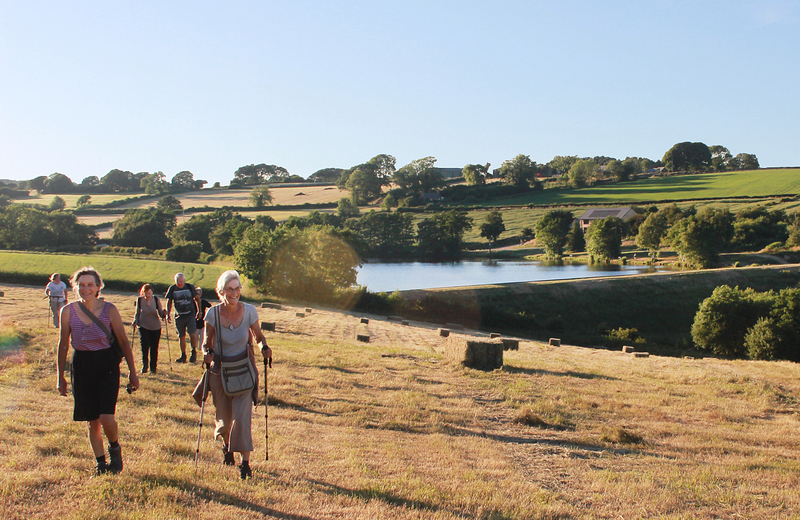 Our next ‘step’ walk starts at 10:00 from Birkin Lane, Grassmoor on Friday 6 July. 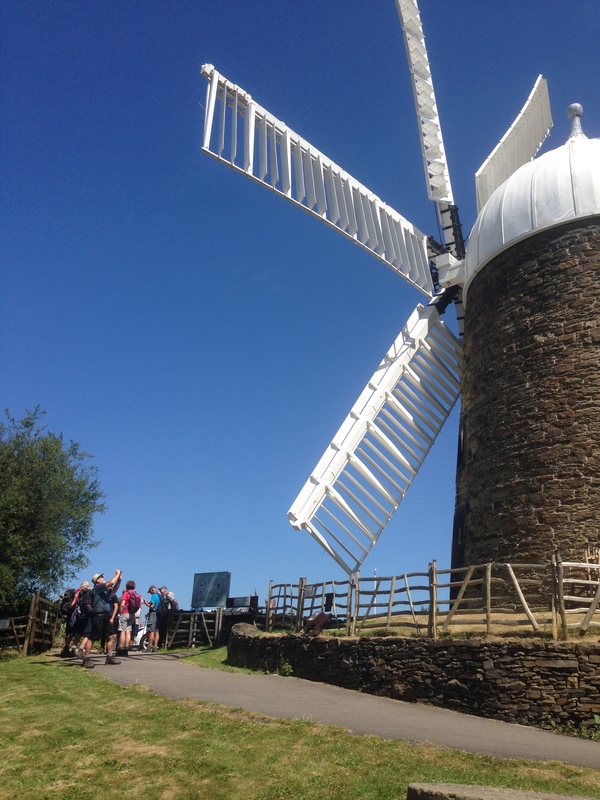 A trip to Ashford in the Water by 15 walkers (including a guest from New Mills) for a 12.5 mile circular led by Lorraine. The clockwise journey went via Monsal Head, Great Longstone (for coffee), a busy Bakewell (for lunch), Over Haddon above Lathkill Dale, and Sheldon. Some tough stiles over the many stone walls en route, but three public conveniences still open to greet the walking tourist. A fine and completely mud-free day for such a good walk. 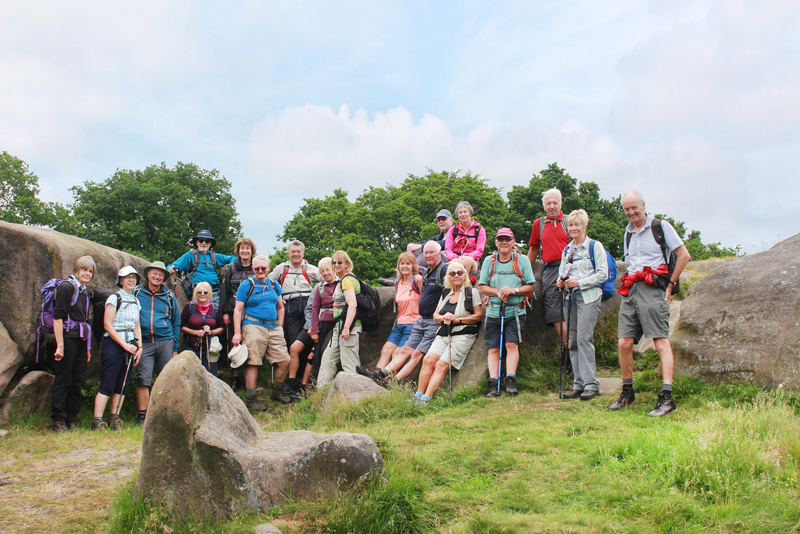 It was an ideal summer day for the 14 of us on our 11 mile walk along the eastern border of Derbyshire. We started at the car park at Whitwell Wood. 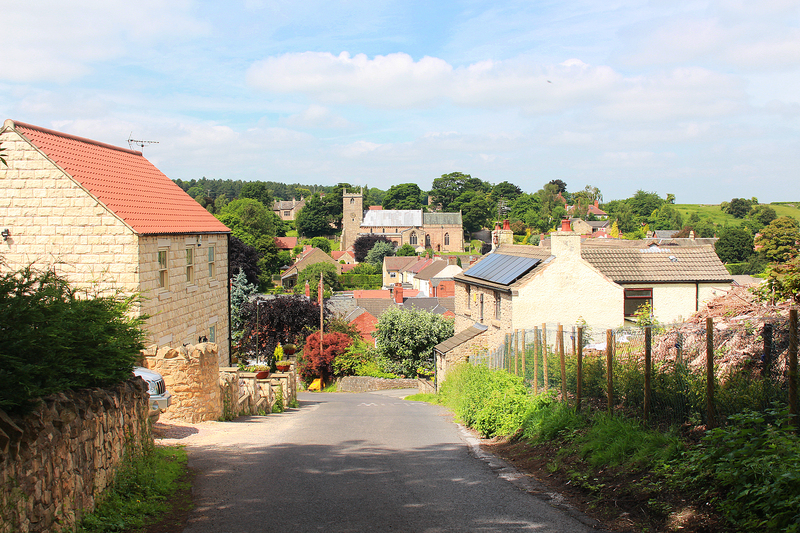 Our route took us past Whitwell and Hodthorpe villages, through the hamlet of Belph, and then briefly into Nottinghamshire and on to Creswell Crags. We walked over the old colliery site at Creswell, noting that the footpath has been temporarily moved as house building has now started on this long derelict site. We continued to Elmton and had lunch on the village green. Some of our group were sat straight in the path of a flock of around 100 sheep being moved from the farm, where they had been sheared, back out to the fields. Passing through a magnificent field of poppies, we paused to look at the attractive parish church which was built in 1773 after the original one had fallen down. Jedediah Buxton, an illiterate farm labourer and mathematical genius who had lived in the village in the early 1700s. Skirting the edge of Clowne, we continued over the fields, through Whitwell village – and back to our cars. 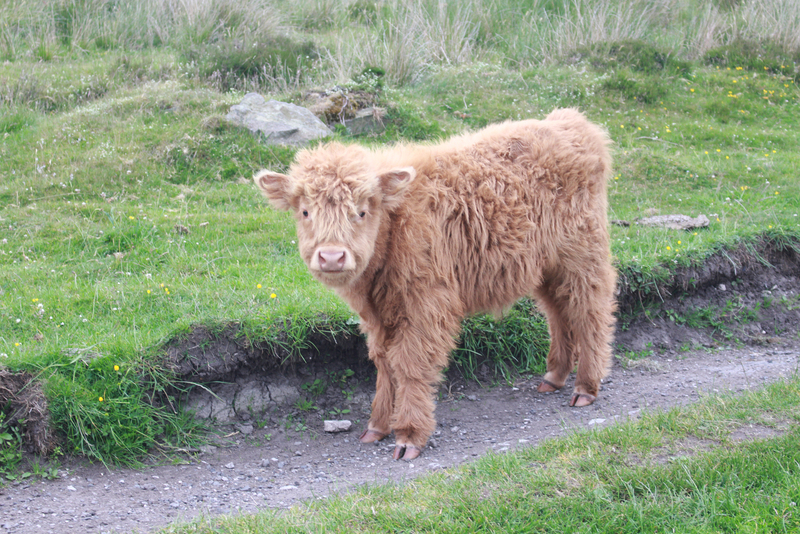 It’s pleasing to report that most of the footpaths were in excellent condition – clearly defined through growing crops and with wide, mown,paths along the hedgerows. Much of the land in the area we walked is part of the Chatsworth estate and we had several reminders, with the familiar blue paint on gates and doors. Another summer Saturday and another long walk, this time led by Lorraine and Andrea. 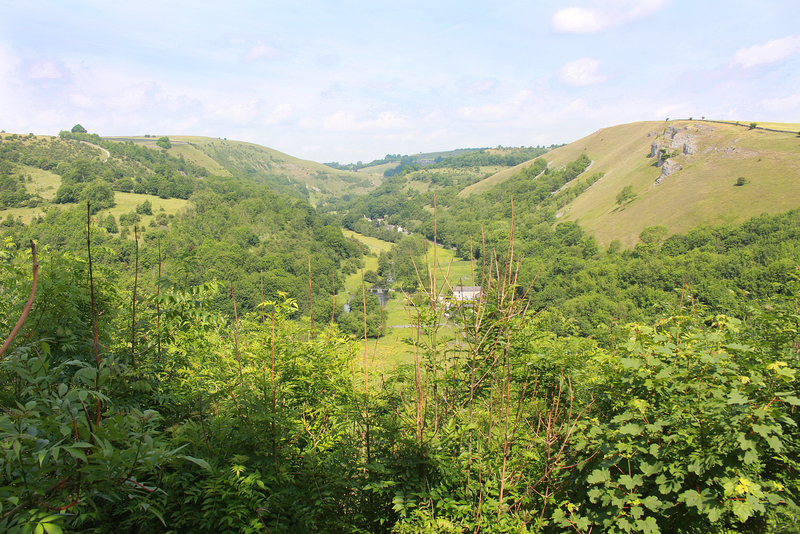 Beginning at Chelmorton Church it was on to Horseshoe Dale, and Deepdale – a site of Special Scientific Interest (SSSI). 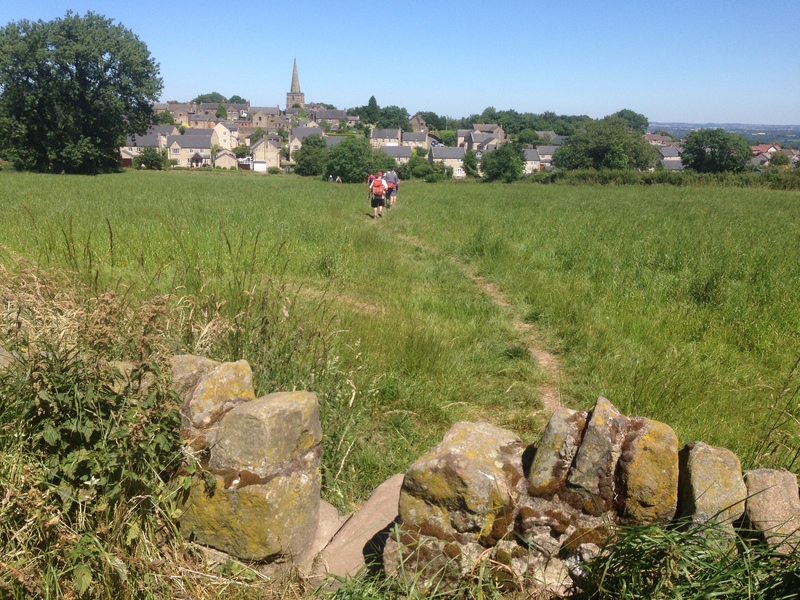 Then to Brierlow, Hindlow – and a return via Monyash, Deepdale, Taddington to Chelmorton. Sunshine all day and very warm – lots of wild flowers and the expected pollen count was high. A finish in the pub for an extremely welcome refreshment after seven hours and a route of over 16 miles. An excellent first walk from Lesley as a leader. A dozen ‘long bus walkers’ followed an 11 mile local circular from Holme Hall, via Linacre Wood, Birley, Moorhall, Unthank, Millthorpe, Cartledge, Barlow, and Cutthorpe on a warm, but very cloudy, day. Quite a few of our NE Derbyshire footpaths checked en route. It also marked a welcome return of a group stalwart after a long illness. 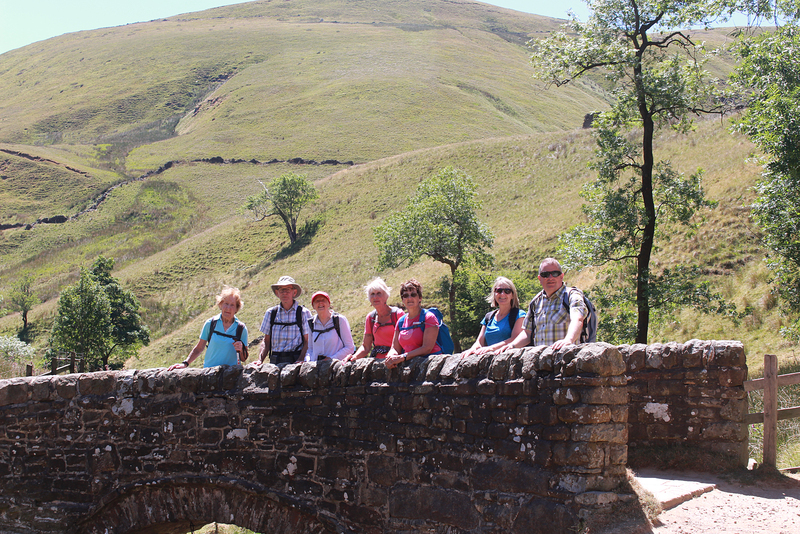 Six steadfast souls set out, despite the threat of rain, to complete the Edale Horseshoe. The 18.5 mile route started out from Hope up to the first trig point on Win Hill. 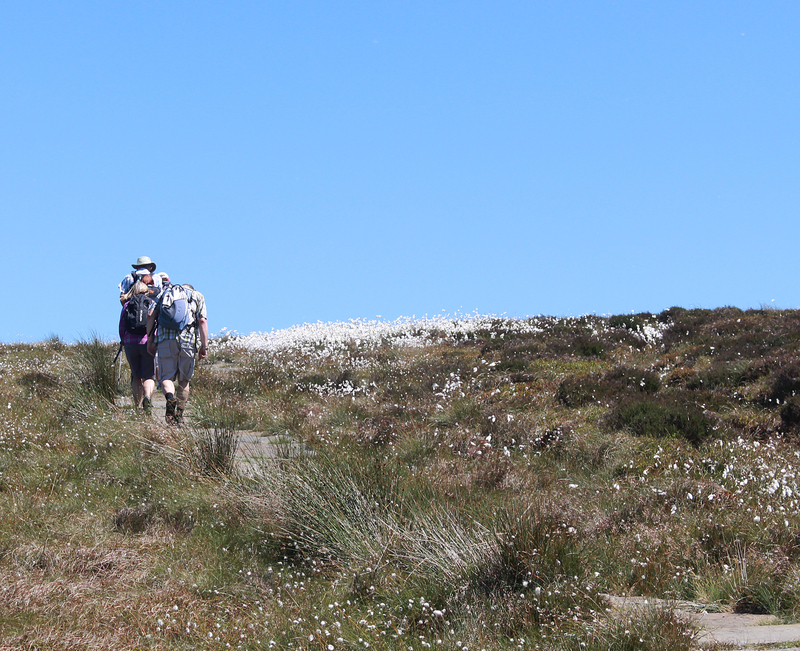 On then along to Hope Cross before ascending to the southern flank of Kinder via Crookstone Moor. Navigation was put to the test as we picked our way through the mist westwards to Ringing Roger, past the top of Grindsbrook Clough, before snaking through the Woolpacks where we stopped for lunch. A slight descent then followed to the top of Jacob’s Ladder before striking out for the trig point on Brown Knoll. The flagstone path took us then to Chapel Gate before a short hop over to Rushup Edge. We emerged from the mist to enjoy some afternoon sunshine as we returned along the Great Ridge to take in our final summit of Lose Hill.